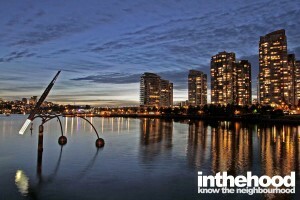 One of the most coveted neighborhoods in Vancouver, False Creek North gives residences the perfect mix of tranquility and vibrancy. 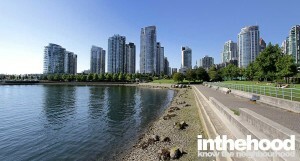 False Creek North is located north of False Creek and south of Pacific Boulevard between the Burrard Street Bridge on the west and International Plaza just east of the Cambie Bridge on the east. 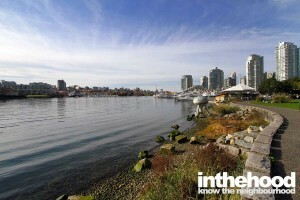 The inlet called “False Creek” used to be five times larger than it is today. In 1859 it was named by Captain George Henry Richards who navigated his ship into the basin during his hydrographic survey of 1856-63 and expected a water link to coal deposits but instead found it to be a dead end. Soon thereafter False Creek was used for the transport of local lumber by the newly built mills on its south shores. 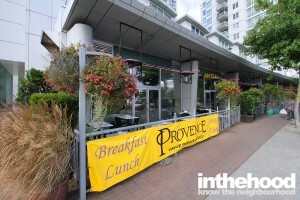 The area surrounding False Creek became more attractive to businesses after the Canadian Pacific Railway extended its railway line to English Bay and the first Granville Street bridge was built in 1889 connecting the two shores of False Creek. The CPR built large railway yards on the north shore taking advantage of 20 tax free years in return. 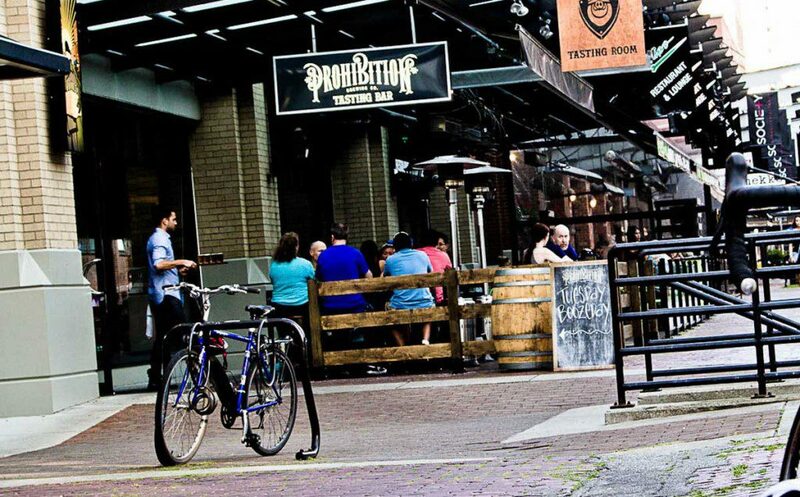 The area of the railway yards became know as Yaletown because the railway workers who moved there, had previously worked at Yale – CPR’s main construction camp. False Creek North population has grown considerably in the last decade, and consists primarily of young professionals in their late 20s to late 30s. Although there are significantly fewer children in the area than Metro Vancouver as a whole, many young families choose to stay in the area until the time comes to purchase a larger home. Artists and sales and service people also populate the neighbourhood. 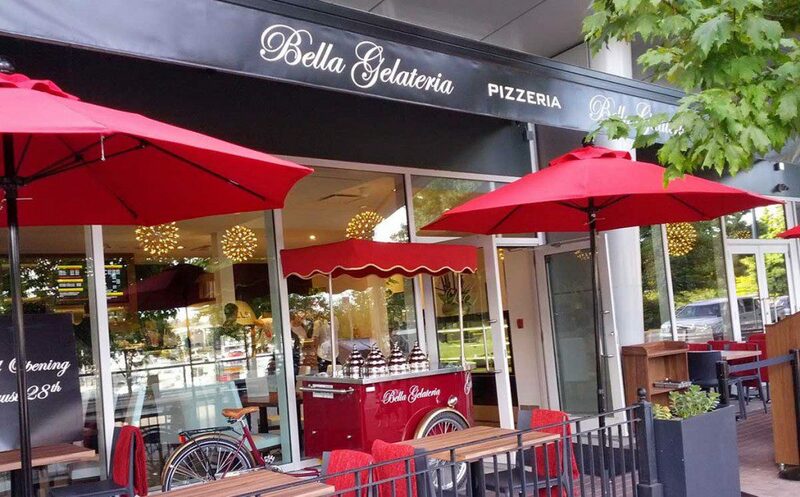 Mainland, Hamilton and Homer Streets are replete with hair and nail salons, boutique clothing and gift stores, lifestyle and home furnishing stores, restaurants, and lounges. Check out Blo Blow Dry Bar or Bombay Brows for some pampering, or Atomic Model for a selection of original clothing. Fine Finds also features clothing and accessories by local and international designers, and a selection of gifts that rivals that of Beauty Mark down the street. For vintage finds, stop by Retro Rock Vintage Clothing on Davie and Seymour, arguably one of the best vintage stores within the downtown area. 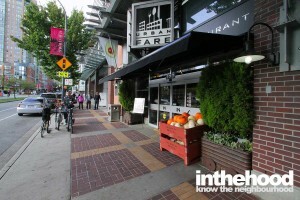 Urban Fare, Choices Market and Nester’s Market serve the community with a large variety of grocery options, from gourmet to organic to locally grown products. 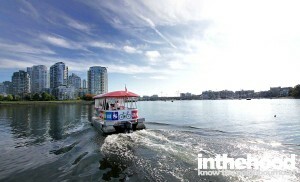 Yaletown showcases some of the best properties Vancouver real estate has to offer. 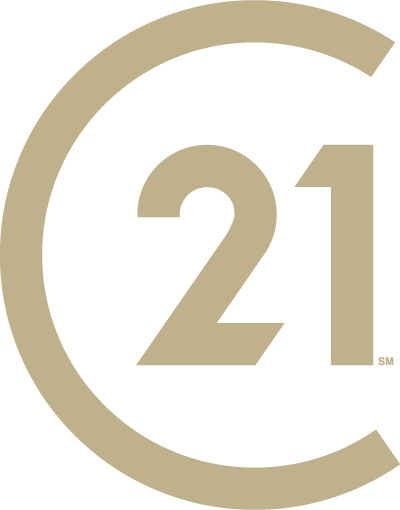 The new developments promise elegant, modern design, fantastic amenities, and great views. Yaletown condos are on average relatively small, however, and prices can be higher than most other Vancouver real estate of similar proportions. Properties such as the Grace on Richards St. embody the style and sophistication of Yaletown real estate, boasting an indoor/outdoor pool, biometric fingerprint security, and suites featuring granite counter tops, stainless steel appliances, and limestone tile floors. 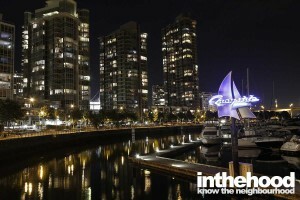 situated along the waterfront, false creek north is bordered by yaletown, the west end and downtown. 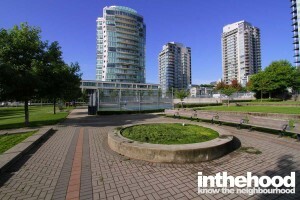 False-creek-north2-vancouver-business-directory-inthehood.caYVR Airport: 30 minutes by car or 45 minutes by Canada Line. 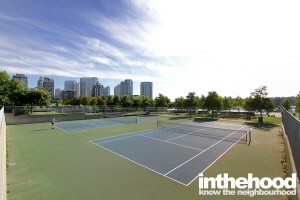 Three major parks are the highlight of this coveted waterfront address. This stunning downtown park is an intricate mix of active and passive recreation opportunities, all with views of False Creek and Yaletown. 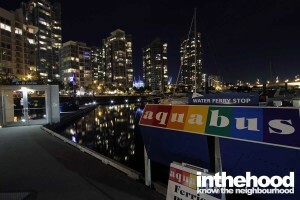 With several docks along the waterfront, the Aqua Bus is a very popular and scenic way to jump across the pond to Granville Island. Bordering False Creek, the winding paths and numerous benches of Coopers’ Park are all excellent places to enjoy the expansive views. Stretched the entire length of False Creek North, the seawall boardwalk is a picturesque walk, bike or run for locals and visitors alike.